Iceland is a magical country to visit at any time of year. But visiting in winter is even more wonderful. From the aurora borealis dancing across the sky to the frozen waterfalls, glaciers, ice caves and snow covered mountains. One of the best ways to see all this beautiful scenery is to hire a car and explore for yourself. Now it goes without saying that driving in winter is a completely different experience to driving in the summer. The ice and snow can make it a challenge for any competent driver. If you’re planning on driving during your time in Iceland, the best vehicle for the job is 4 x 4. Make sure your car has studded tires with spikes, that helps driving when the road is slippery. Our roads can be covered in snow and ice so always be prepared and plan extra time for your journey. We all love Google maps and it’s great for telling us how far it is to a destination. But in winter you need to sometimes double your driving time to allow for bad weather. It’s also a great idea to have food and water supplies in your vehicle. In case your journey takes longer than planned. There can be long stretches of road without any shops, fuel stations or houses. So be prepared! As well as the obvious snow and ice that comes in the winter months. 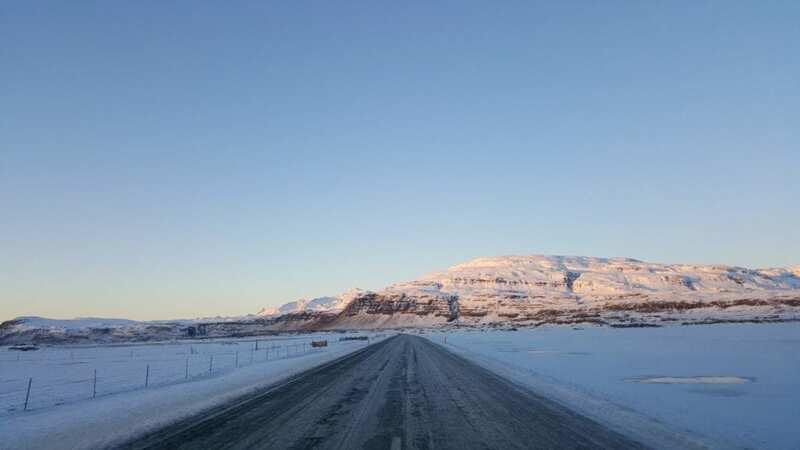 Iceland has another type of weather you need to be cautious off whilst driving. And that’s the wind. You can experience huge gusts of wind in Iceland. And these can literally push your car. So remember to drive accordingly to the weather conditions. If in doubt then go slow! In order to keep on top of the weather as best you can. There are some useful websites that provide regular updates. We would recommend that you check these out as regularly as possible. Not only do you need to factor in the wind when driving. It’s something you need to consider when parking and getting out of your vehicle. Always park with the wind towards you. If you’re not sure then open your window first. A common accident in Iceland can be cars damaged by huge gusts of wind. And you don’t want to have your trip ruined because you can’t close your door. Also, we know the views are amazing but it’s important not to stop your vehicle in the middle of the road. In winter months, this can be particularly dangerous. So keep yourself and others safe and please only stop at designated parking spots. We have plenty so you won’t be disappointed. We would always recommend that you have had some experience driving in winter conditions. It might look like a fantastic adventure but you need to be fully prepared for your own and others safety before taking on the challenge. Of course, there’s the obvious snow and ice that you need to be prepared to drive on. But you also need to be comfortable if the weather conditions suddenly change. Snowstorms are common during the winter and these can reduce your visibility and also make it difficult to see the road. Another thing to consider when arranging your winter trip is the hours of daylight in Iceland. During December and January, the approximate hours of daylight are 11.00-16.00. Increasing to 10.00-17.00 in November and February. We would recommend that you factor this in your planning. As driving in the dark for long distances in winter is not something we would advise. We would recommend using the following websites for updates on the road and driving conditions. 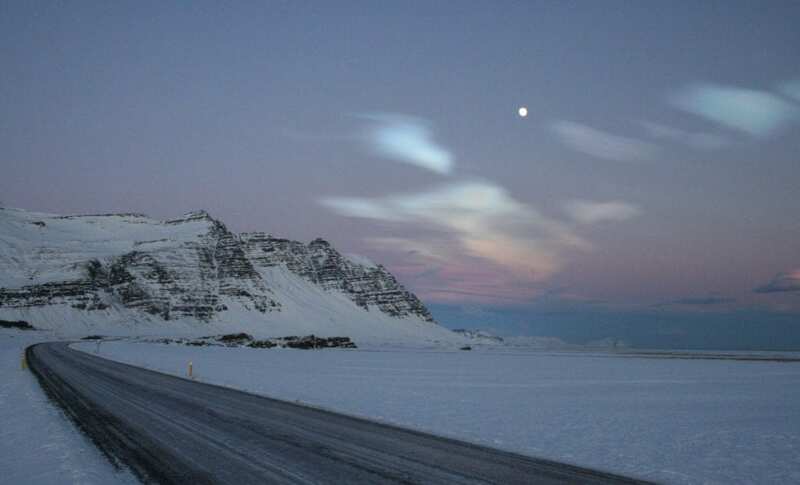 App – For travellers to use for their trips in Iceland. It shows the conditions of the roads, and the weather, wind gusts, web cameras etc. And it will pick out the shortest route. The app is free. 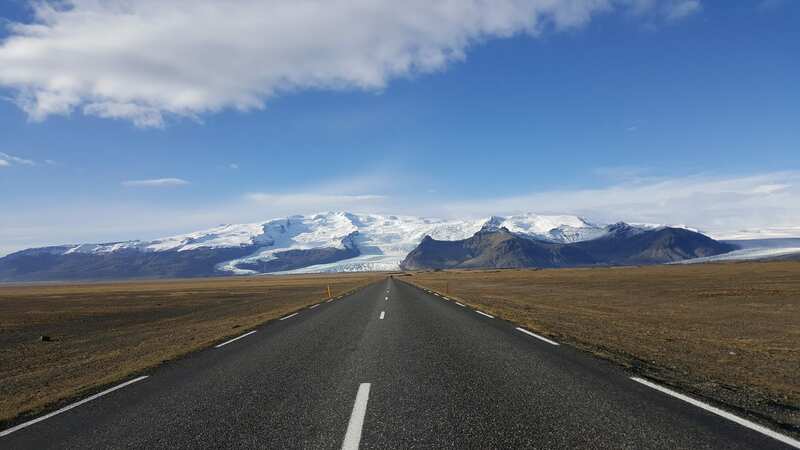 – Firstly, in Iceland, we drive on the right hand side. – Lights must be on ALL the time. Yes, even during the daytime. – Single lane bridges are common in Iceland. Simply slow down, check if anyone is driving in the other direction first. Give right of way as appropriate. – When driving in snow and ice. If in doubt then drive slow. This is the safest way and even though your journey might take a little longer it’s the best option. We want you to have a wonderful time in Iceland. If you have any further questions please do not hesitate to contact us and we will be happy to help. What to wear on the glacier? Looking for glacier walk this summer?